Welcome to our 5-minute guide to free boiler replacement grants for pensioners. If your boiler is on the blink and you don’t have the cash upfront for a new one (who does? ), there are a few options. We’ve also included some quick references towards the end for some further savings that are available, by applying to Government schemes offering supplements for UK residents on their fuel bills. Not all pensioners are eligible for a free boiler. However, below we’ll explain who is eligible and how you can apply. For England, Scotland and Wales, the option of a free boiler is limited to the ECO scheme setup by the UK Government. The Government’s ECO Scheme isn’t just limited to boiler installation. If you’re looking for more details on the insulation segment of the ECO scheme, you’ll want to search the Carbon Emissions Reduction Obligation (CERO). For boilers, the Home Heating Cost Reduction Obligation (HHCRO) section of the ECO scheme is designed to help those that need it when it comes to heating their home. So, that’s boiler replacements and boiler repairs. Who Funds The ECO Grant, And Am I Guaranteed A Free Boiler? The ECO boiler scheme is supported by the biggest six energy suppliers. Not everyone (even when eligible for a Grant) is guaranteed a payment that results in a free boiler. On many occasions, the payment is likely to contribute to the replacement cost, rather than cover it. Either way, it’s free money! The eligibility criteria specifically for pensioners is simple. You’ll need to be receiving Pension Guarantee Credit, and be over 60 years old. However, the boiler needs to be more than 10 years old. If you have a boiler that isn’t 10 years old (or older) and is condensing, it’s unlikely you will be eligible. If you are eligible (or aren’t 100% sure if you are), the best thing you can do is speak to an adviser. If you’re a pensioner looking for a free boiler, an adviser will be able to determine if you’re eligible. So, the ECO scheme is one that provides thousands of pensioners with a new boiler in the UK. But, what if you’re in Northern Ireland? Like the ECO Boiler Scheme in the UK, the Age Concern Scheme is designed to help pensioners improve the energy efficiency of their property. Although Age Concern advertises this as a free boiler replacement, their website states that eligibility will lead to a Grant of up to £1,000. This Grant is certainly not enough to cover the cost of a complete boiler installation. The scheme has helped over 18,000 people in N.I. upgrade their central heating systems since it was launched. 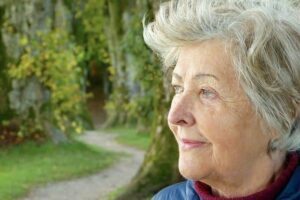 So, which pensioners are eligible for the Age Concern free boiler replacement scheme? For gas boilers, the mains connection needs to have been made over 15 years ago. The upgrade Grant can be used for converting the current boiler to a more efficient gas or oil boiler. It can also be used to convert your existing central heating system to an eco-friendly wood pellet boiler (bio-mass). Properties need to be owner-occupied. If you’ve determined you’re not eligible for a free boiler (for instance, you’re not on benefits or Guaranteed Pension Credit), here’s a quick guide to understand boiler installation costs. A typical 2-3 bedroom property is likely to cost anywhere between £2,000-,£2,500. Those are estimated costs from a local installer for a mid-tier to premium brand, with a 5-year+ warranty. However, if you’re looking for a cracking deal, we’d suggest visiting BOXT. Whilst they don’t offer free boilers, they are extremely cheap. And, that’s because they’re part owned by Bosch (who in turn, own Worcester Bosch). You’ll be able to get a fixed price from £1,795, like the one we got below, by using their clickable quote form. As these are Worcester Bosch boilers, fitted by accredited installers, you’ll get up to a 10-year warranty. And, as you can see from the image, you’ll be able to get finance, starting from £12 per month! If you’re still confused, the best thing to do is read our boiler installation cost guide. This tries to account for a few different scenarios to give a more accurate cost estimate for boiler replacement. So, now you’ve sorted out your new boiler, there are a few other ways for you to save money on your boiler’s fuel bills. The Government runs a range of schemes designed to supplement payments, and not just for pensioners. As a pensioner, you’ll be eligible for the Warm Home Discount if you get a Pension Credit Guarantee. The Warm Home Discount is for pensioners and low-income households and provides a utility discount of up to £140. You can find out more about the Warm Home Discount here. Cold Weather Payments are specifically for the colder weeks in the year. The Government subsidise utility payments by £25 for every 7 days of extreme cold weather. The Government website has more details on Cold Weather Payment eligibility. Thanks for reading our 5-minute guide to free boiler replacement Grants for pensioners. Found this useful? Pass it on to someone else that might find it useful too. 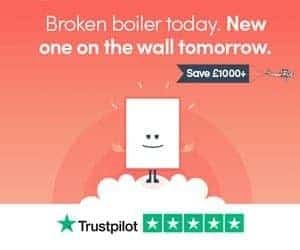 Got questions about applying for a free boiler? Leave a comment below and we’ll get back to you as soon as possible.